It's Easter weekend! 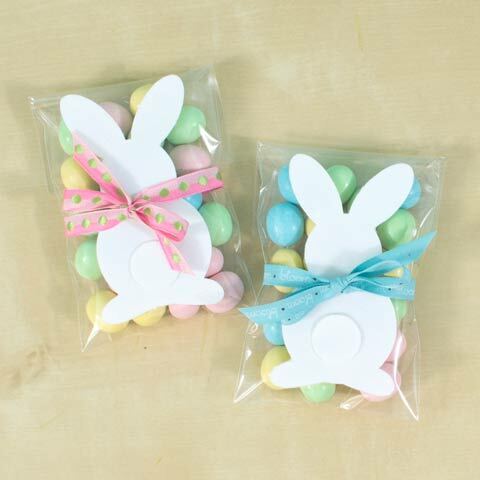 Are you excited for egg hunts and family fun? We are! Don't forget to take pictures. It's so fun to use photo props. 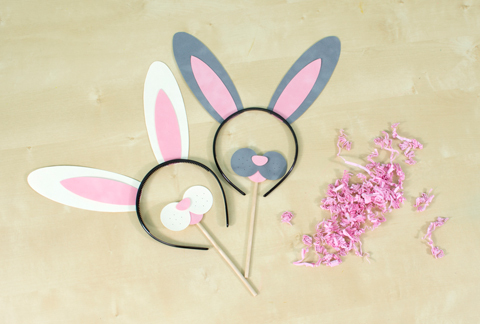 So, we decided to make some Easter Bunny props. 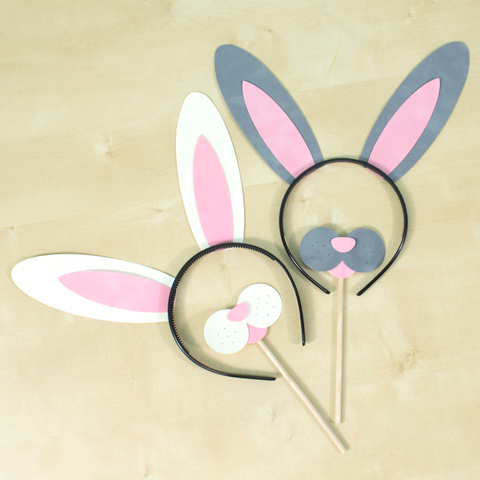 We cut bunny ears and noses out of our velvet paper. We love how soft and fuzzy they are! 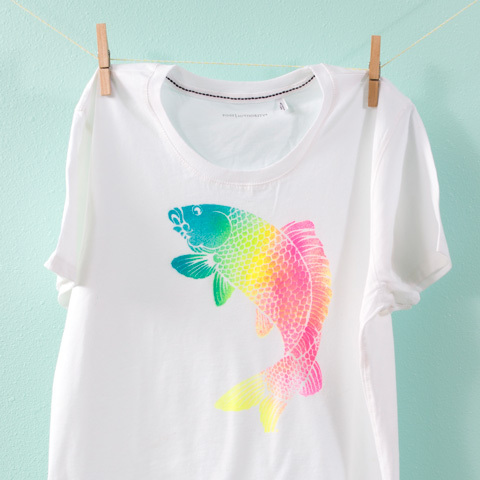 Spring and Easter colors don't have to be washed-out pastels. Throw in some fun, bright colors too... Like orange! The orange ribbon is what really makes this pop. Love it! 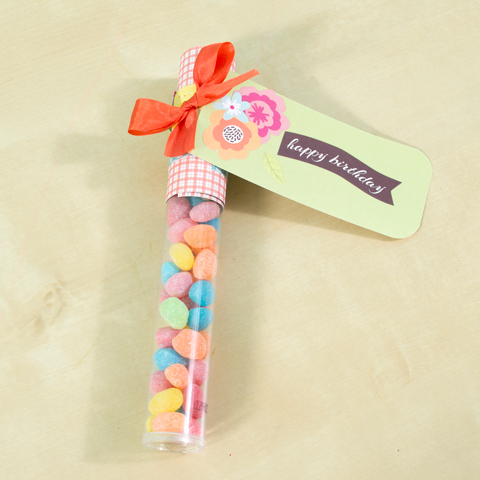 We found this cute little tube of jelly beans at the store and wanted to jazz it up with some embellishments. So, we wrapped the top in scrapbook paper and attached a tag decorated with floral stickers. Then, we added that sweet ribbon. 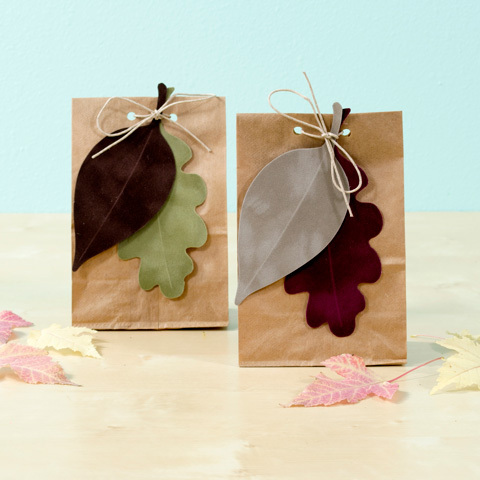 Do you ever switch up packaging for gift-giving? It's one of our favorite things. 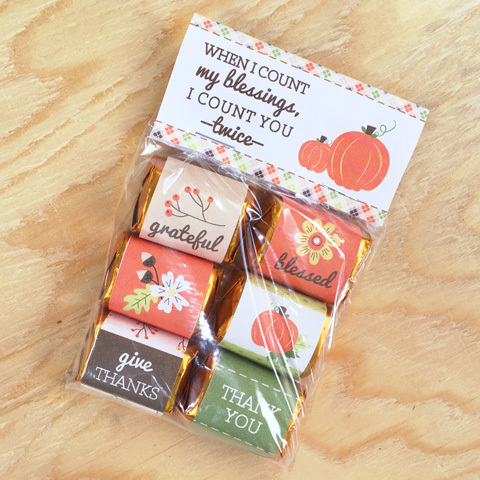 We especially love pretty candies in an equally pretty package. 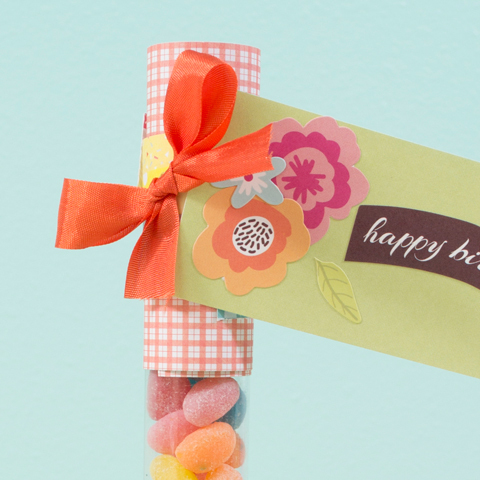 Happy birthday to our awesome spring birthday friends out there! 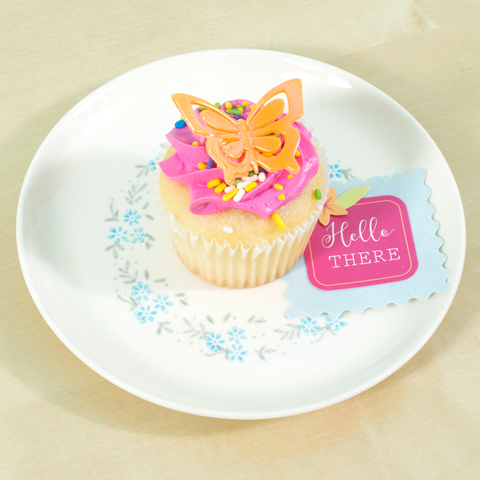 We found this adorable cupcake at the grocery store and knew it would brighten our friend's day. 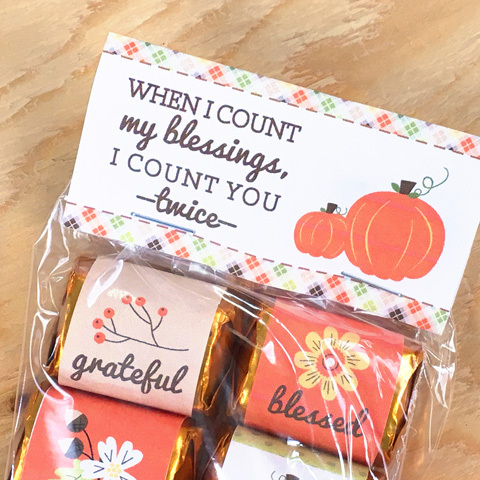 So, we made a little tag to go along with it, using some of our favorite stickers from the June 2017 scrapbooking kit. It's nothing to fancy. But, it's so nice to know someone was thinking of you. 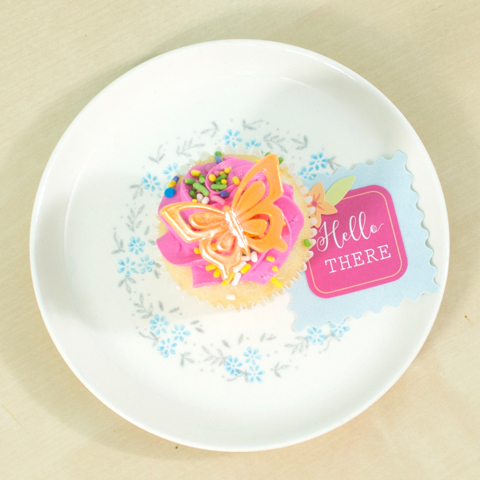 Do you ever grab an extra treat for a friend when you go shopping? Decorating for spring is so fun! 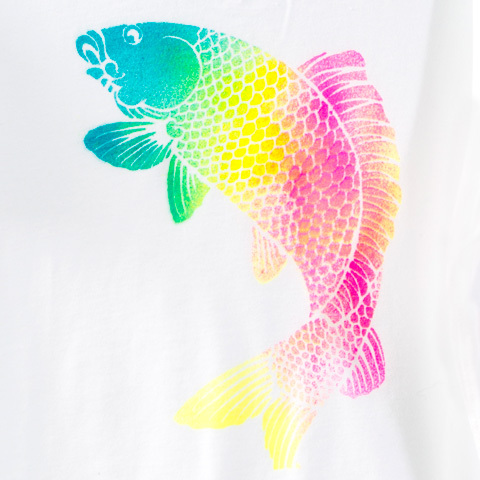 We love busting out those cheerful colors. 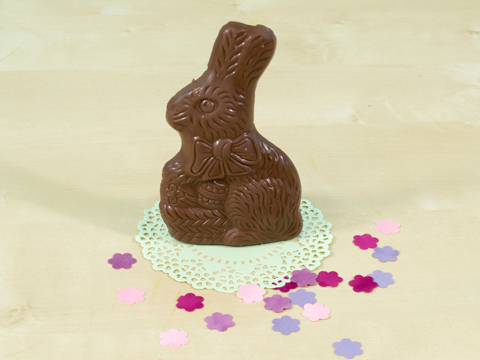 We wanted to use a chocolate bunny for our centerpiece. But, it looked lonely. 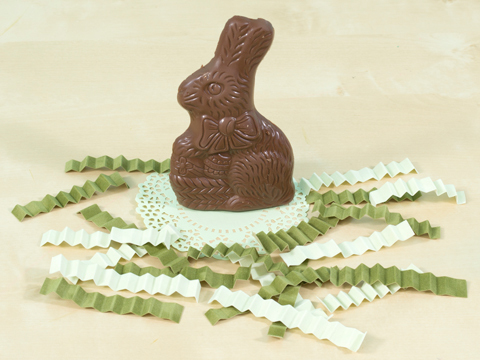 So, we added a paper doily and some Easter grass. For more color, we punched flowers out of our velvet paper to use as confetti. You could even cut strips of velvet paper to make your own grass. Velvet confetti is so easy to make! We love how it brightens up our centerpiece. Spring is really here! Usually we think of velvet as a fall or winter thing. 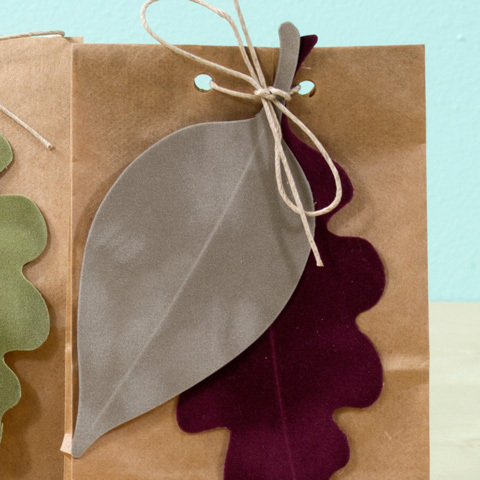 But, there are so many cute ways to use velvet for springtime. 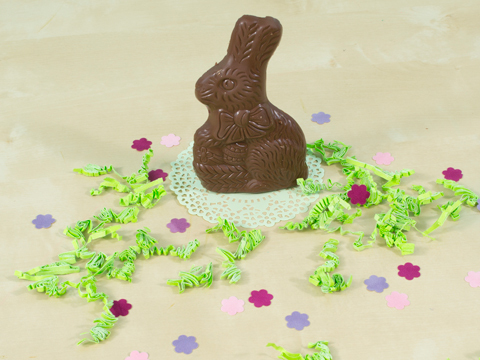 One of our favorite spring velvet ideas is making soft, fuzzy bunnies with it. We cut these bunnies out of white velvet paper using our silhouette cutting machine. 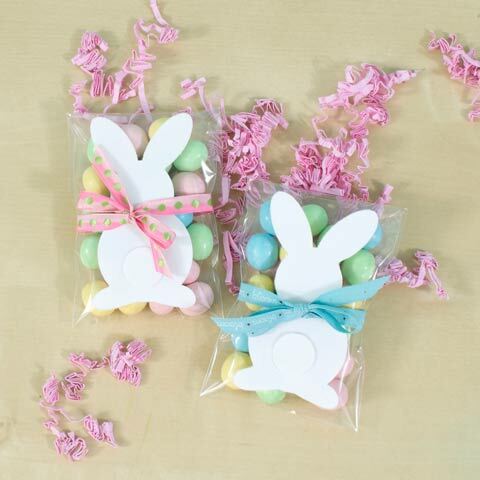 Then, we attached them to treat bags and wrapped them up with ribbon. Photos can't do these justice since you need to feel the texture to really appreciate it. We hope you are enjoying spring and have flowers popping up where you live! 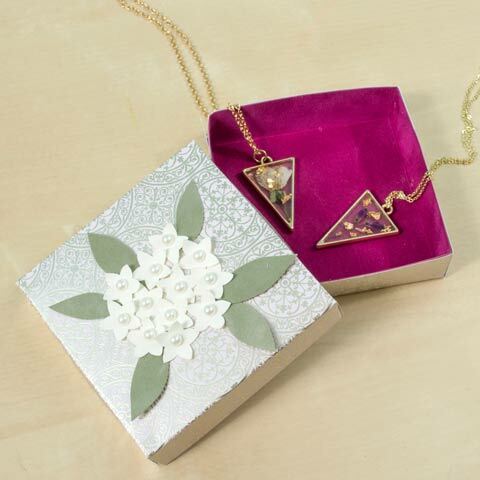 We wanted to make a gift box for these pretty pressed-flower necklaces and found the perfect way to make it more plush and fancy... velvet paper! We are majorly crushing on the velvet trend right now. To start, we made a simple box out of papers from our Penrose paperpack. Then, we cut velvet paper to line the inside. For the flower on top, we cut a bunch of little flowers out of velvet paper, using our Silhouette. Then, we added some velvet leaves and adhesive pearls. 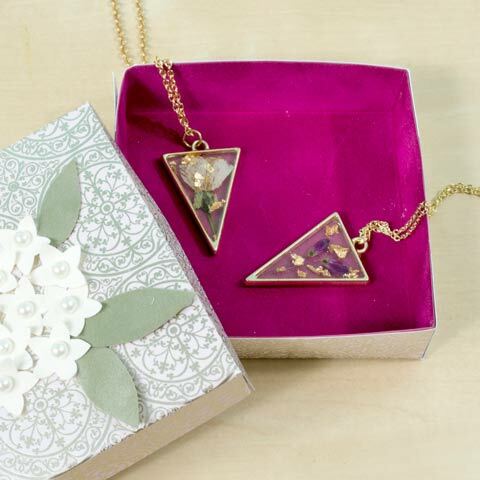 The necklaces are from one of our favorite Etsy shops, Wylde Wanderer. What do you think of this velvet-lined box? Are you loving the velvet trend too? We hope so because we have some more velvet projects coming soon! 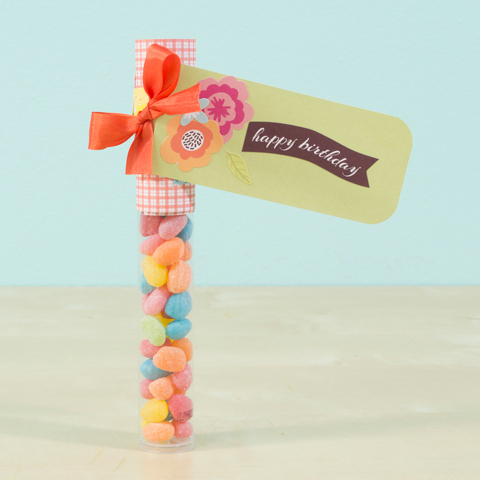 We have another fun gift idea for you today. 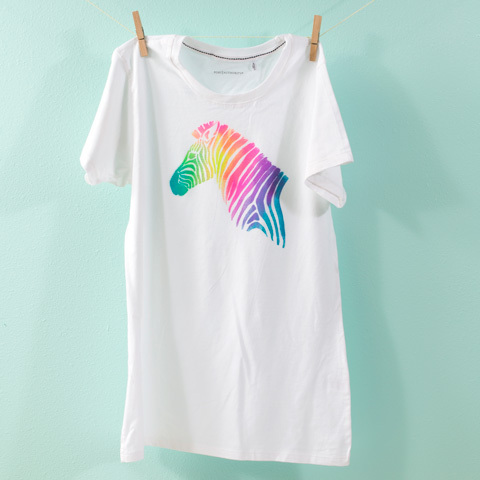 Cool stencil dyed shirts! 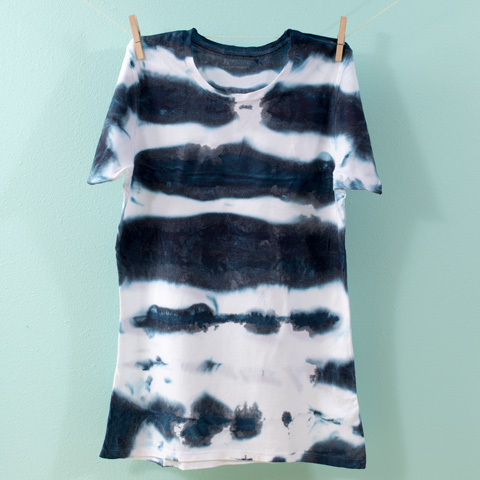 These are surprisingly easy to make using our Tumble Dye and you can choose any shape you want. This first one we did is a zebra shape. 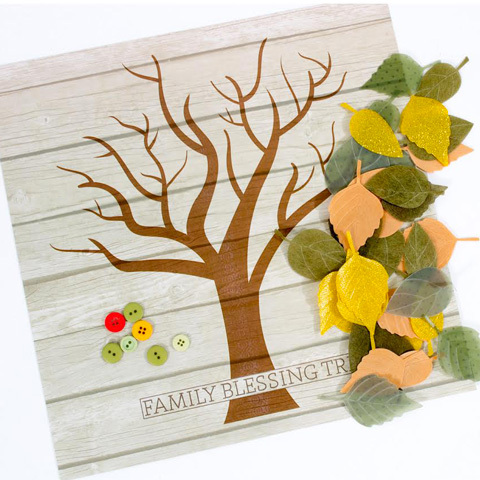 We cut it out of cardstock paper using our cutting machine. 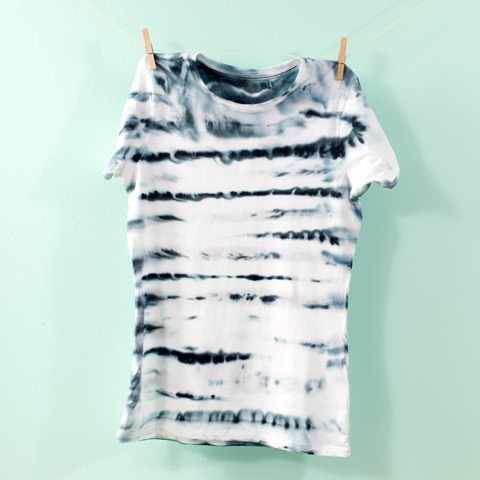 Then, we placed the stencil over our shirt and sprayed the Tumble Dye in a fine mist. 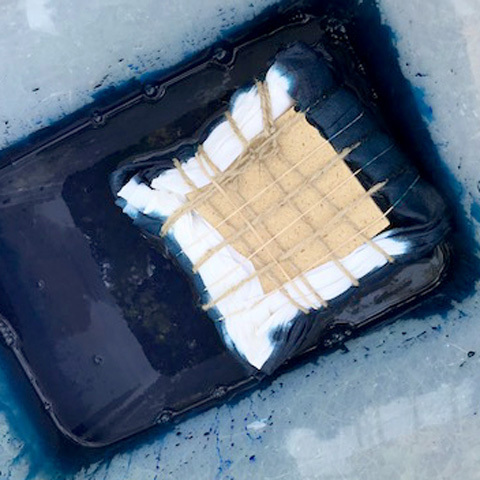 To make it permanent, heat set with an iron after it's dry. Done! 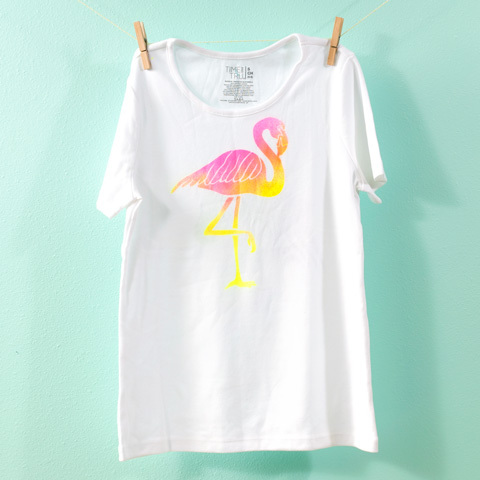 Another shape we picked was this simple flamingo. 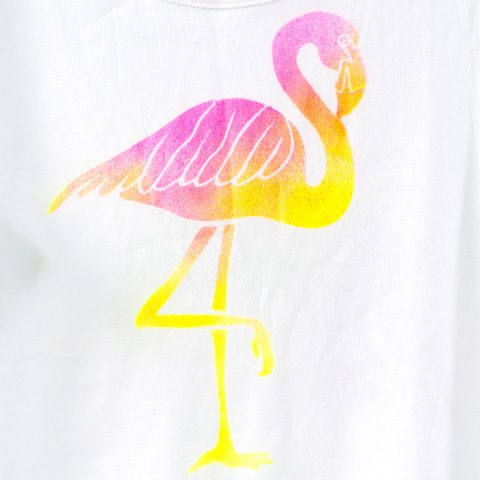 Rather than doing several colors on this, we stuck to neon pink and yellow. The last shape we did is this fish shape. We love how detailed it is with all the scales. But, you could easily do it with a simple cutout, like a heart too. Which was your favorite shape? Happy November! It's the month of gratitude. 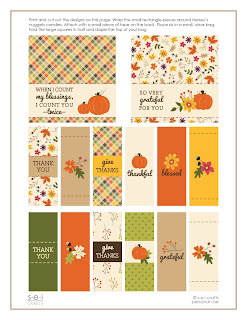 To celebrate, we are sharing a free printable with everyone. This would be a fun gift for a friend or neighbor gift. 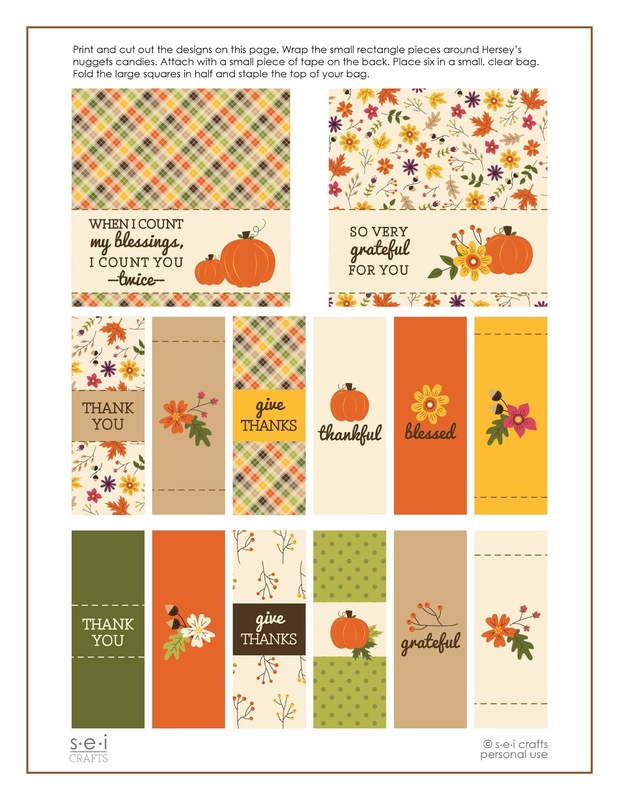 You could also use it for your Thanksgiving place settings. This was designed to go along with a lesson for our new faith-based club kit. If you are interested, there are details at the end of this blog post. This is simple to put together! Just print out the image at the bottom of this blog post. Attach the little pieces to Hersey's Nuggets. Put them in a bag and top it off with the bag header. This month we are also are grateful to introduce a new monthly club kit especially for Latter-Day Saint families. 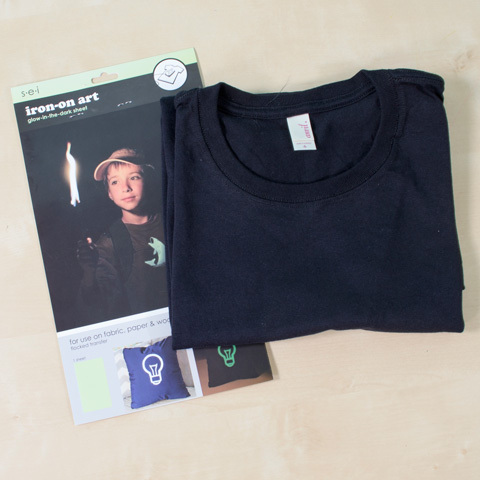 Each month we will ship a kit with 3 fun and meaningful family home evening lessons. The lessons are all ready to teach. Right now we are having a special. The first kit is just $8. Read more here. Happy Halloween! 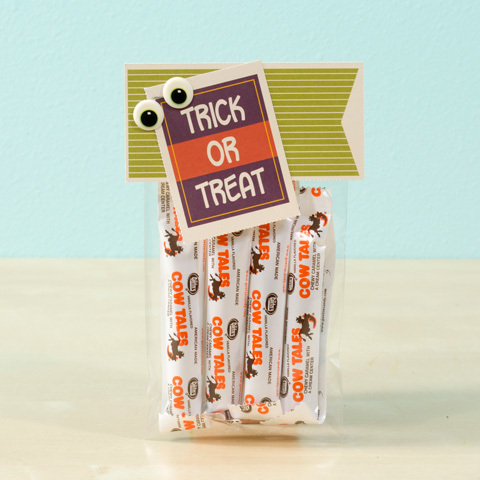 Today we have some fun last-minute ideas that you can do to get ready for trick-or-treaters. 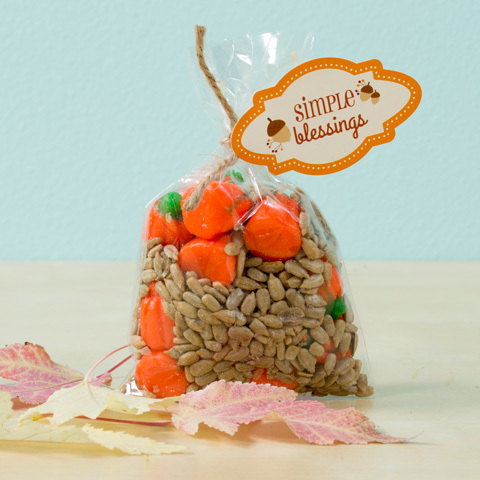 First up, make your own trick-or-treat bag. This project will only take a couple minutes. 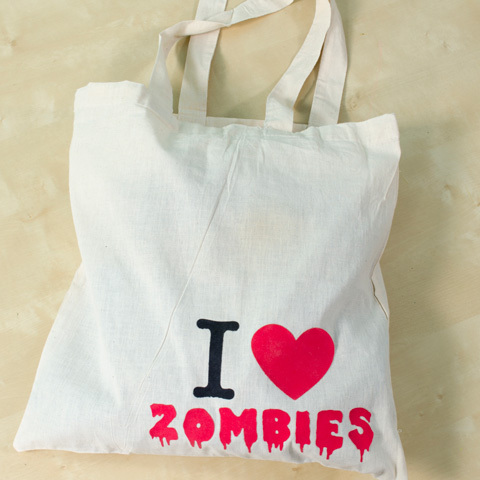 All you need is a simple canvas bag and your favorite iron-on transfer. 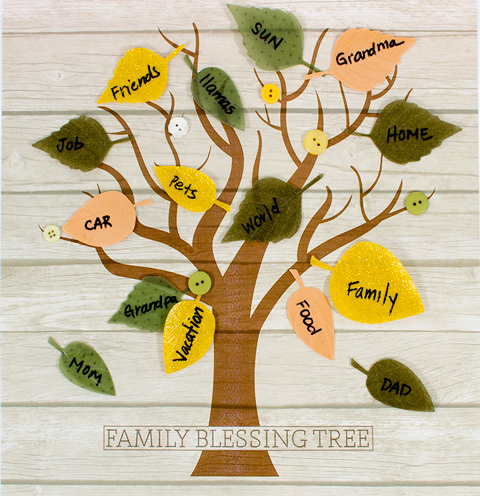 You could also use iron-on letters to spell your child's name for a personal touch. 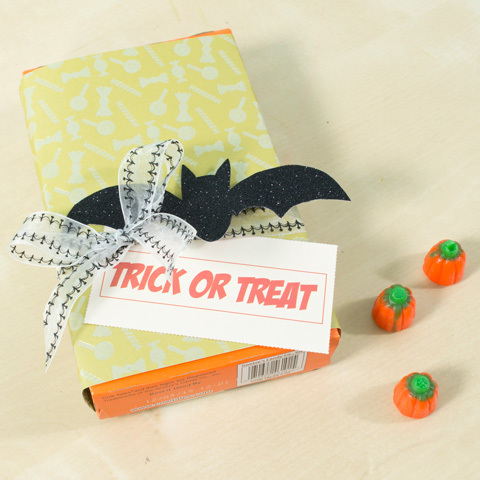 If you don't get a lot of trick-or-treaters or just want something different for some special trick-or-treaters, why not decorate your package a bit? 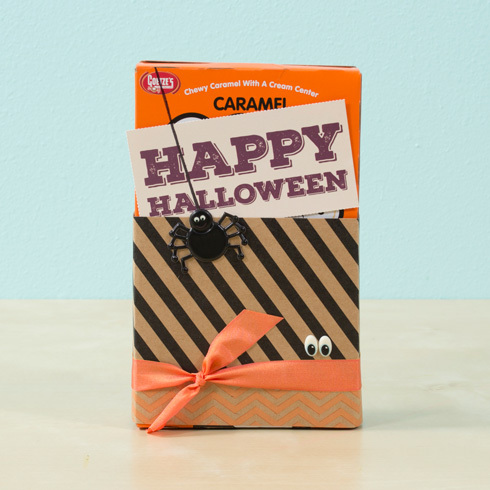 We used Cow Tales and scrapbook supplies for this project. 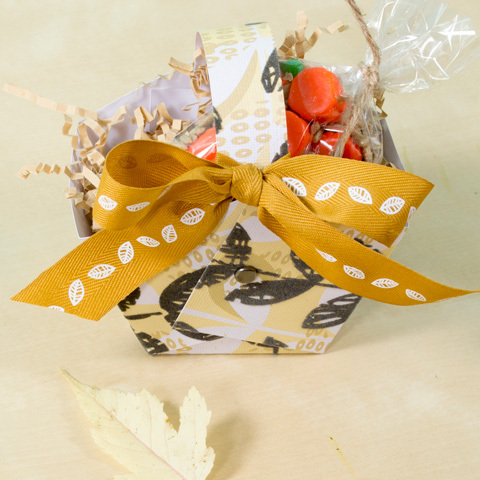 For the first one, we just wrapped the box in paper and added a ribbon and tag. 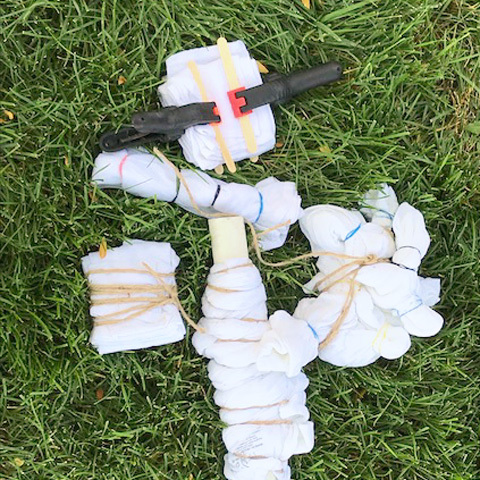 For, the second Cow Tale idea, we put some Cow Tales in a little bag and added scraps of paper and stickers to the top. Simple and easy! 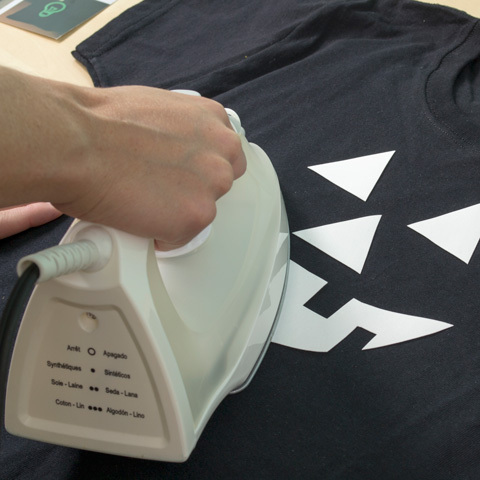 We have the perfect solution for last-minute Halloween shirts and costumes. 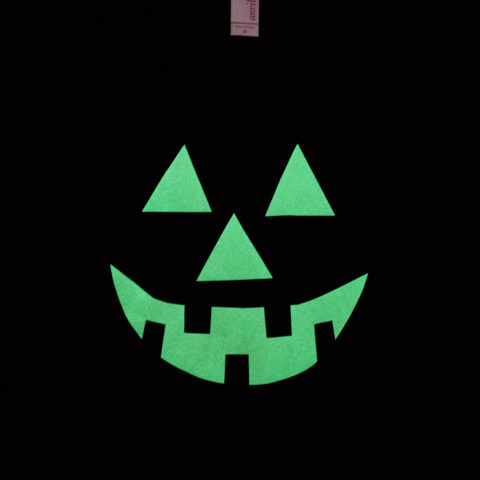 Glow-in-the-dark iron-on sheets! You can cut any shape out of these and the look really cool at night. 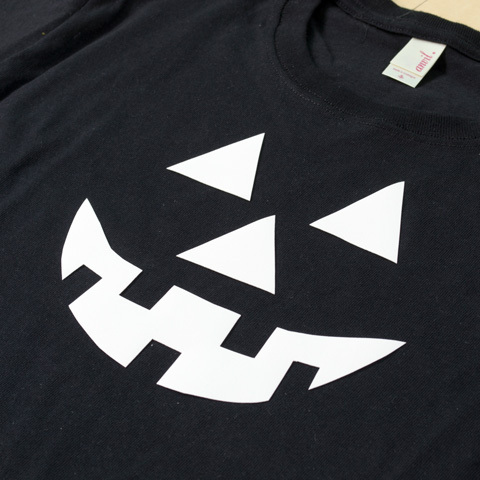 We decided to cut a jack-o-lantern shape out of this sheet and iron it onto a black shirt. But, there are lot's of other ideas... How about cutting bone shapes out and making a glowing skeleton? What about a glowing ghost? 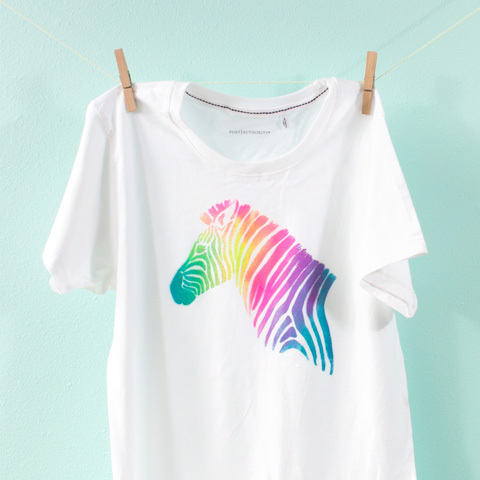 All you need is a shirt, iron-on sheet, and iron. 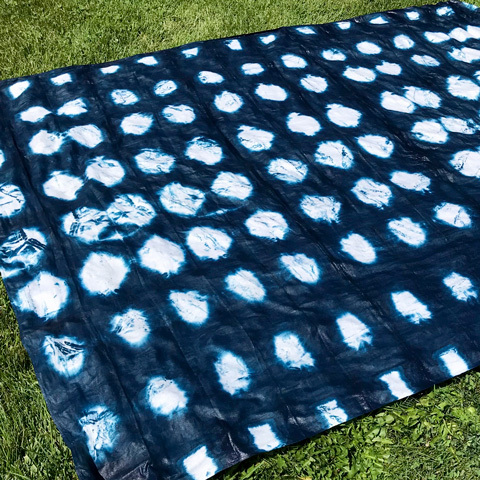 These sheets are super easy to use. 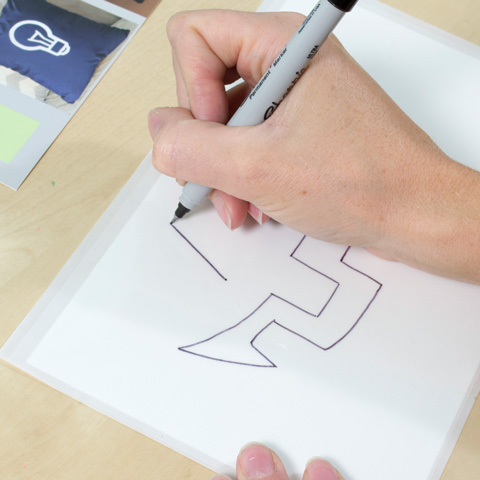 First, draw or trace your design onto the backing. We just free-handed our jack-o-lantern face. 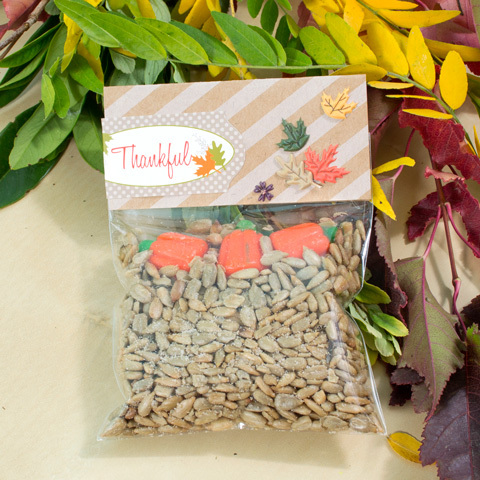 You can also use it with a cutting machine for a more precise design. Cut out your shapes. 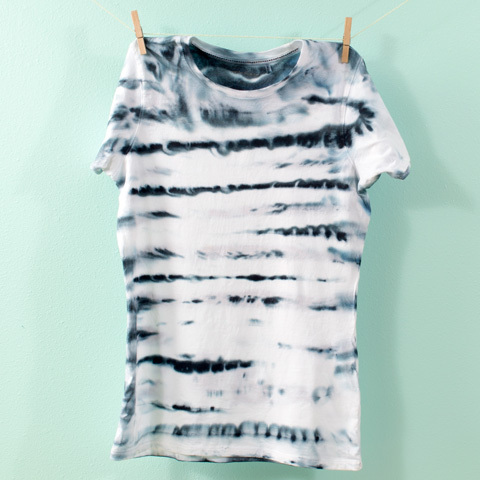 Then, iron it onto your shirt. Watch it light up in the dark! Happy Halloween! 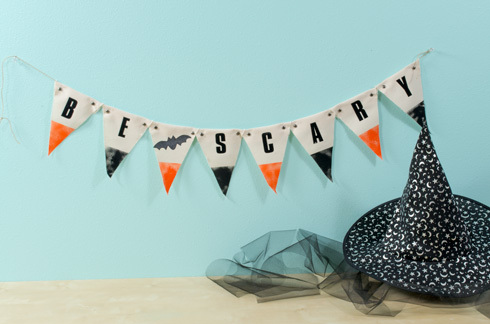 Are you hosting a Halloween party this year or want a DIY banner to make your home more festive? How about a cute banner? 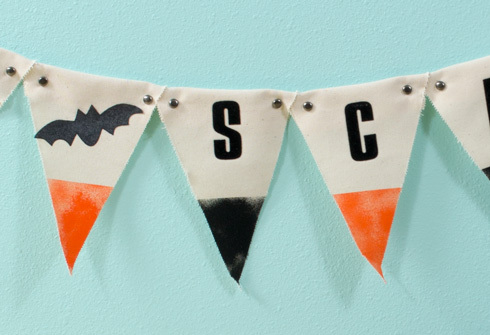 We made this one using our canvas banner kit, tumble dye, iron-on letters and iron-on glitter bats. First we put a strip of masking tape on the banner pieces to mark a straight line where we wanted to put the tumble dye. We covered the rest of the banner with paper. 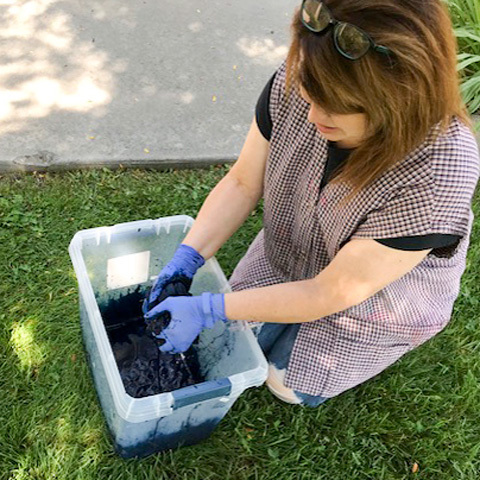 Then, we sprayed orange and black tumble dye. After the dye dried, we added iron-on letters and bats. 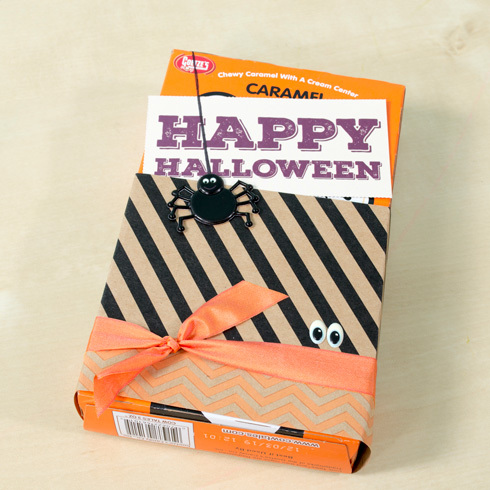 We hope you enjoy this simple and adorable idea for Halloween decorating.